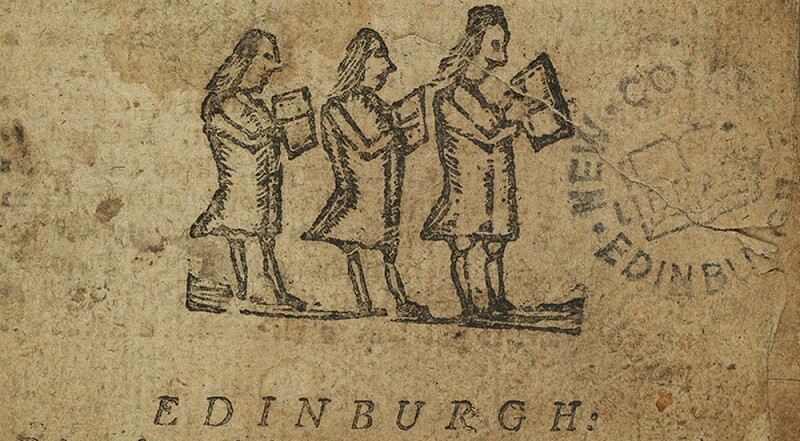 the Congregational Church, who served throughout northern Europe. 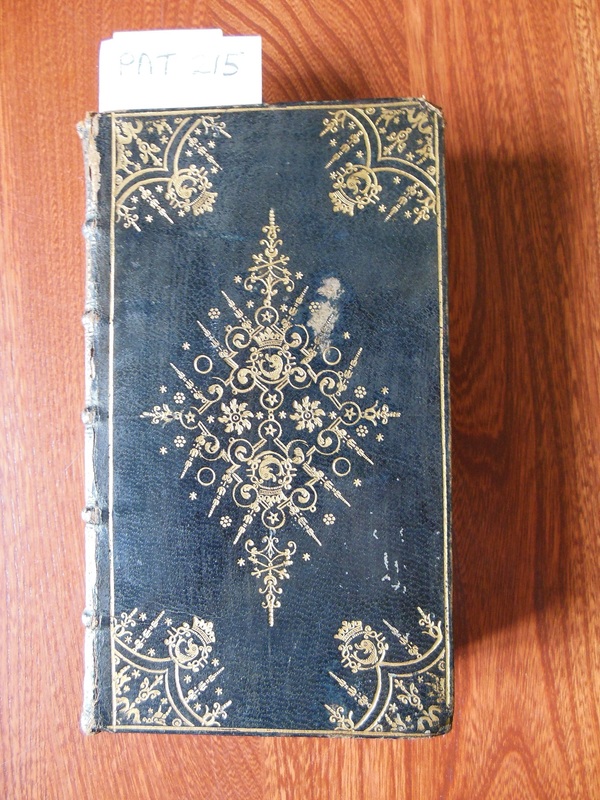 We were intrigued by this 1727 Book of Common Prayer (PAT 215) because of its fine binding with a fish and crown design. 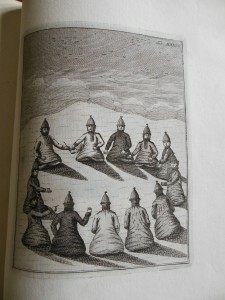 We haven’t discovered the significance of this design and would be interested if anyone could tell us? 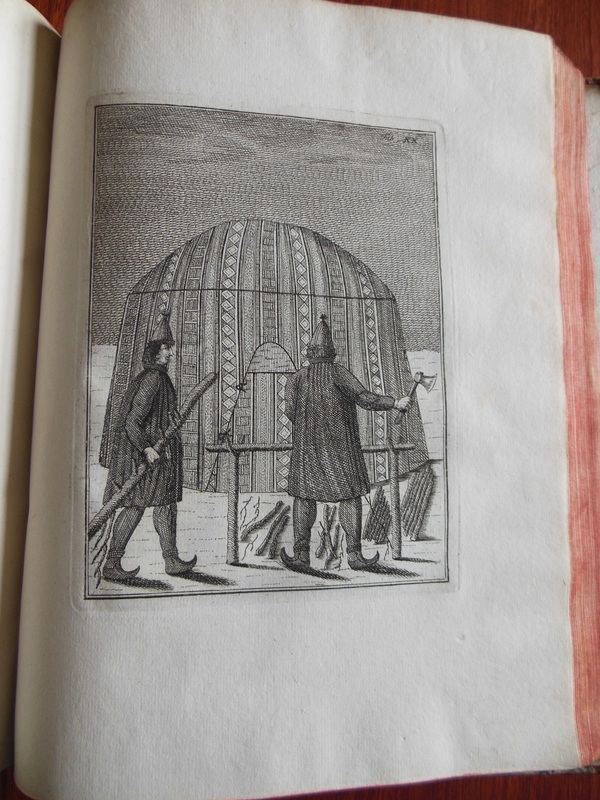 We loved the beautiful illustrations in this book (PAT 216) in Danish and Latin on the Sami and Finnmark fylke (1767). Perhaps Paterson acquired this book in the early years of the nineteenth century, when he worked with the Swedish and Finnish Bible Societies translating the Bible into Finnish, Icelandic, Sami, Samogitian, and Swedish. 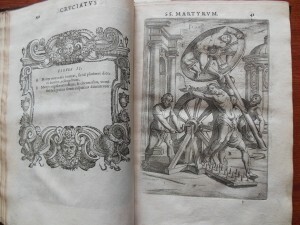 We were surprised by the graphic woodcut illustrations in De sanctorum martyrum cruciatibus by Antonio Galliano, (1660, PAT 224). 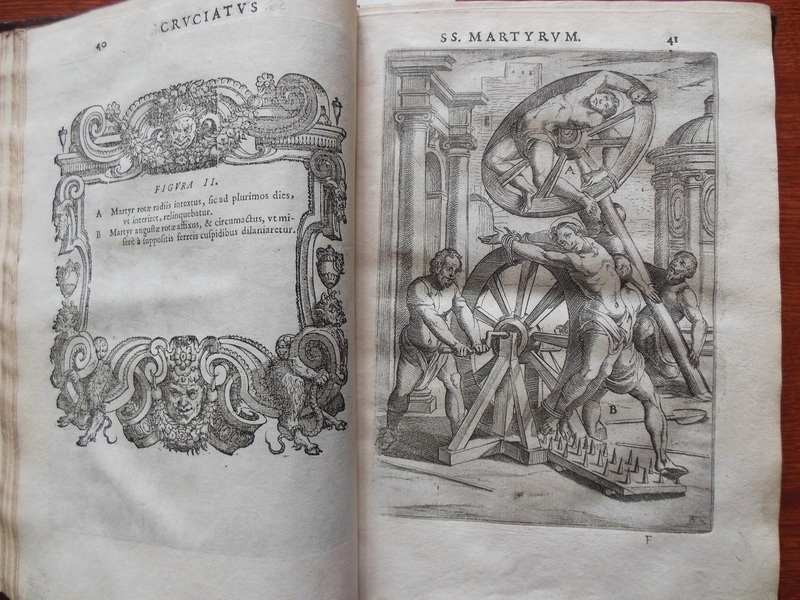 This is a manual of methods of torture, persecution and martyrdom faced by the early Christian marytrs. The cataloguing of this collection was made possible by the generous donation of the Rev. Dr Robert Funk. This entry was posted in Library, Rare Books at New College Library and tagged Bible, Funk, new college library, rare books by cloverodgers. Bookmark the permalink.